iluvurstyle.com: Simple Pieces, Standout Colors! I like this number because Sarah uses simple pieces and adds her own flair by choosing surprising colors! She adds a few accessories and she's out the door. 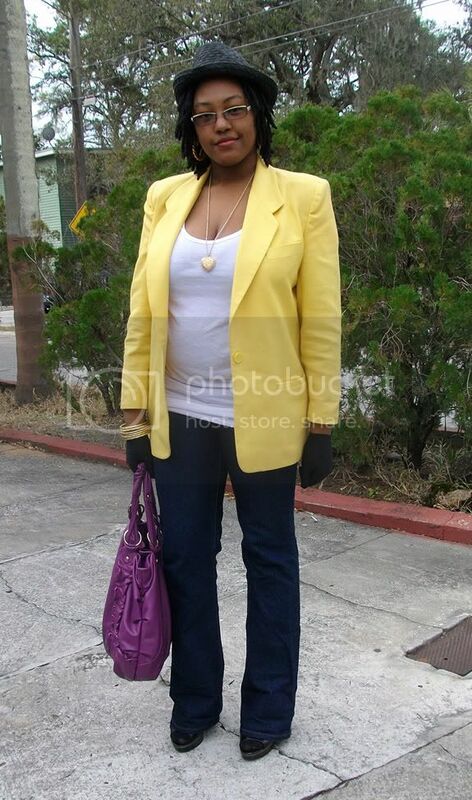 love the yellow blazer and of course the purple bag!